There are a host of sites online that offer fun, interactive content for kids (and adults!) 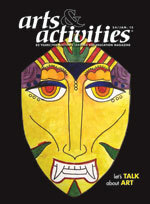 to learn about art, artists, and art concepts. Or, maybe someone just needs a brain break! You won’t regret visiting any of these sites. The Art Educators of New Jersey (AENJ) serves the needs of NJ art educators through conferences and regional student exhibitions. Their annual conference is in October and gathers together art educators from the region to provide hands-on training, informational workshops, vendor demonstrations, and distributors of supplies and specialty services. The National Art Education Association (NAEA) advances visual arts education to fulfill human potential and promote global understanding. Founded in 1947, The National Art Education Association is the leading professional membership organization exclusively for visual arts educators. 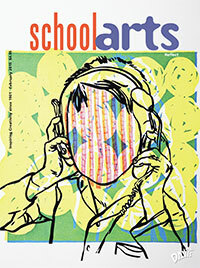 Members include elementary, middle and high school visual arts educators, college and university professors, researchers and scholars, teaching artists, administrators and supervisors, and art museum educators, as well as more than 45,000 students who are members of the National Art Honor Society or are university students preparing to be art educators. Americans for the Arts serves, advances, and leads the network of organizations and individuals who cultivate, promote, sustain, and support the arts in America. Connecting the best ideas and leaders from the arts, communities, and business, together they work to ensure that every American has access to the transformative power of the arts. Arts Education Partnership (AEP) is a national coalition of more than 100 education, arts, business, cultural, government, and philanthropic organizations. AEP serves as the nation’s hub for individuals and organizations committed to making high-quality arts education accessible to all U.S. students, improving arts education practice, and researching how art influences and strengthens American education.